"A science fair challenge goes wildly wrong when the Mayan god of earthquakes and death shows up. 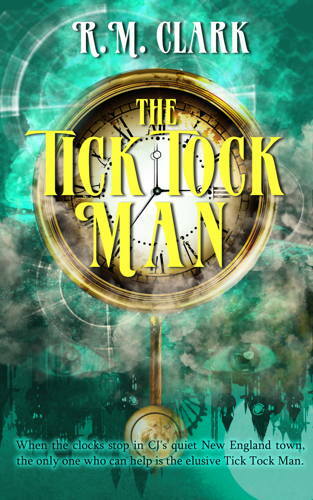 Sharp dialogue, cool tech, and heady speculative elements create a high-stakes puzzle young readers will want to solve alongside the four vivid middle-schoolers, each with unique quirks and smarts." "4stars Amy, Amanda, Marshall, and Ziggy are at school on a Saturday to try and get their science fair projects put together. But when the Mayan god of earthquakes and death shows up and the science advisor disappears, it is up to the kids to save him. They each have their own areas they prefer but this is not going to be enough to save Mr. Froth. Although the kids don’t really get along in normal middle school, they are going to have to learn to work together to solves the puzzles that they come across. "I really liked this book. Each kids has their own perks and although they don’t normal get along I love how they learn to work together. Each puzzle starts out where one kids can basically solve with their skills but eventually the puzzles change. That was about in the middle of the story and that is where things really pick up. As an adult I really like the science in the book. There are real, applicable facts and such that give the kids a chance for some real learning along with the great story. "This is a wonderful book for both midgrade readers and adults. 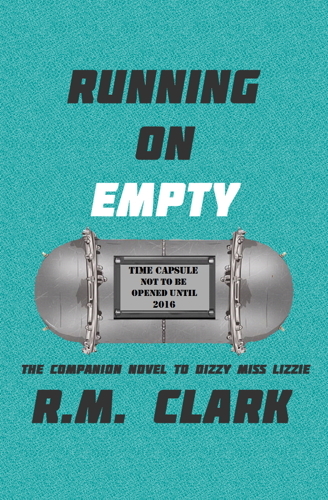 This is my secondbook by RM Clark and I will be watching out for other books of his. I recommend you check this one out." "I'm going to start this review the only way I know how – I wish this had been around when I was 7/8 and getting utterly obsessed with reading. The book follows the confusion of a botched science experience at a science fair where a bunch of Mayans appear just as their teacher Mr Froth goes missing. We follow the story with Amy, Amanda, Marshall and Ziggy who must battle with the evil Mayans, and find their teacher ASAP! "In terms of the characters Ziggy is wonderful – from the very first sentence he comes across a little arrogant but in an utterly adorable and intelligent way. He’s brainy, really clued up on life and a lovely little character. The rest of the bunch have their own ways – I really liked Amanda and definitely thought she gave Ziggy a run for his money at times in the brainy stakes. Each adds their own flourish to the group and although they don’t truly get on at the beginning they learn that their differences and their individual traits will make all the difference when they have to work together; it’s a lovely moral to the tale. 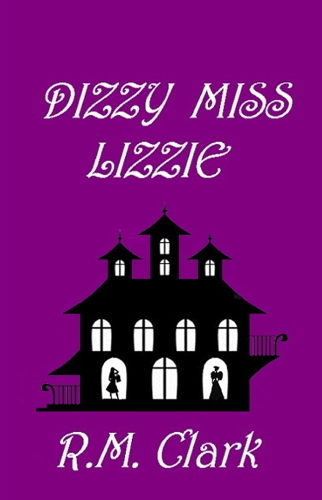 "In terms of the writing style it is perfect for the target audience which I would assume is around the age 7/8+. Although it is exciting and well described it is simple enough to be understood without becoming slow or boring. As the tension builds in the second half of the book I thought the suspense and then tension really increased and as we get closer and closer to the end I really couldn’t put the book down. It has a really wonderfully warm feeling mixed with the excitement of solving the mystery. My only wobble was some of the text styling the italics and the over use of exclamation marks for me were a little distracting but that’s a personal preference really. "Would I recommend this? Yes, and if it wasn’t so close to Christmas I definitely would have suggested this as a stocking present. It has the perfect mix of loveable characters, excitement, mystery and science. I think this is also a book that parents and grown-ups would really enjoy reading to their child because it’s exciting and interesting enough to really involve more adult readers too! If there’s a sequel I would love to get my hands on it because I thought this was pretty wonderful. Thumbs up." "Science fairs aren’t supposed to be this exciting or dangerous. "The dialogue made me smile. This wasn’t the kind of tale that required a lot of it. The author did seem to have an intuitive understanding of when it definitely was needed, though. All of the scenes that required at least one conversation had exactly what they needed. Keeping these conversations to a minimum made me appreciate the ones that were used. If the author added one to a scene, I immediately knew that there was a very good reason for it to be there and paid close attention to what the characters were about to say. "I would have liked to see more time spent showing Ziggy, Amy, Amanda, and Marshall’s personalities. All four characters blended together in my mind as I was reading because there were so few clues about what was unique about any of them. 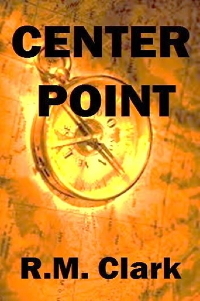 The few hints that did exist were also hard to connect to the right person because there were so many main characters in this book. "It was fascinating to see how the main characters used science to come up with possible solutions to the problems they faced as they tried to rescue their teacher. Their logical approaches to even the most surprising plot twists made me excited to see how it would all end, especially in the last chapter or two when the pacing really picked up speed. These sections were sometimes funny and always well done. 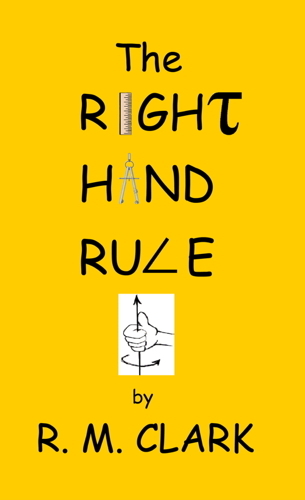 "The Right Hand Rule is a good choice for anyone who is in the mood for something surprising." "But now, for the kid review because this is who the book is actually intended for: From the very first page, I liked Ziggy. His character is fun, a tiny bit arrogant and way brainy. But then, all of his friends are quite the thinkers. The four are each very different from one another, and although they don't get along at first, they grow together as their 'test' takes its course. It was nice to watch them team up despite their differences and contribute their individual talents to get the job done--a great message for young readers. Even if they didn't get along, working together is invaluable. "But this book isn't about messages. The pages are packed full of scientific and some historical information. Kids, who have an interest in facts and not just fiction will eat this up. The author does a good job of making the information fun while explaining it in a way kids will understand. However, there were times that it was too much. As each character must grab back on their science project to help solve the mystery the technical details were thrown in one after another. Although it all works to solve the mystery at hand and keeps a fast pace, it was a bit over-whelming at times, and just pure story for a page or two more often in between would have offered a little break for the mind. I hope this won't drown kids. But the information itself is good. Very good. And science fans will definitely get their full thrill while accompanying Ziggy and his friends as they try to solve the puzzle. "About half-way through the book, things really take off, and honestly, this is where the story first grabbed me. Although it's interesting to watch the kids try to use their knowledge to solve the puzzle in the first chapters, the stakes and true adventure starts later. The game rules change as something unexpected and fantastical happens, letting the tension finally mount and giving the kids a real reason to solve the puzzle. After this change, I couldn't put the book down. 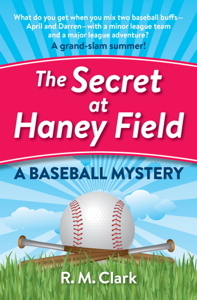 "The writing is perfect for the intended age group (ages 8+) and will pull kids in. The familiar school setting is easy to fall into as well as how the kids speak and handle each other. Ziggy and his friends are likable, and it's no problem to cheer for them at the end. "This is a fun mystery, which will appeal to science fans or kids who simply like interesting facts and know-how mixed into their story. I hope there will be a sequel because the idea behind this mystery is very good."